The one with Zoya Beach collection Arizona! Sunday, Sunday, Sunday! 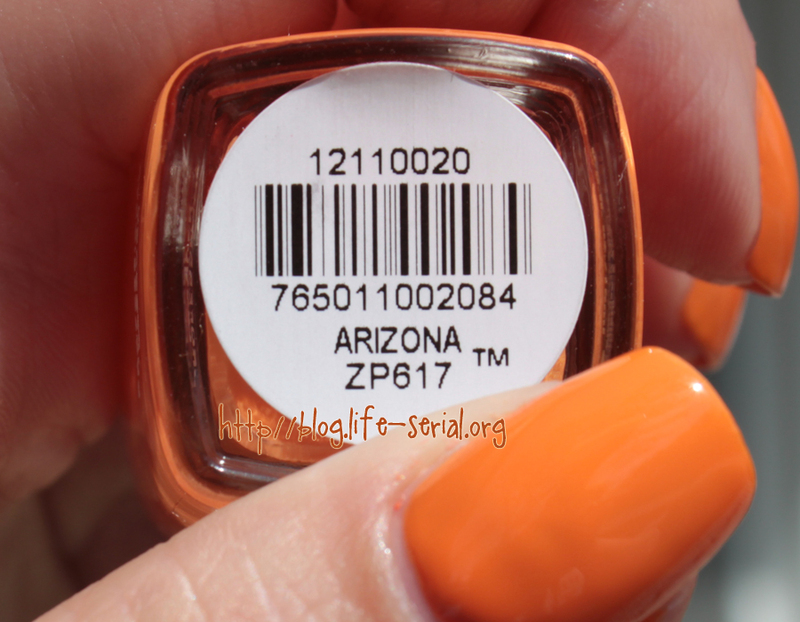 Today I bring you the first of the six Zoya Beach collection polishes - Arizona. It should be a given that this is my favorite of the collection :) The formula is like butter, of course, but on this one, a tad thick. Not enough to make application difficult. 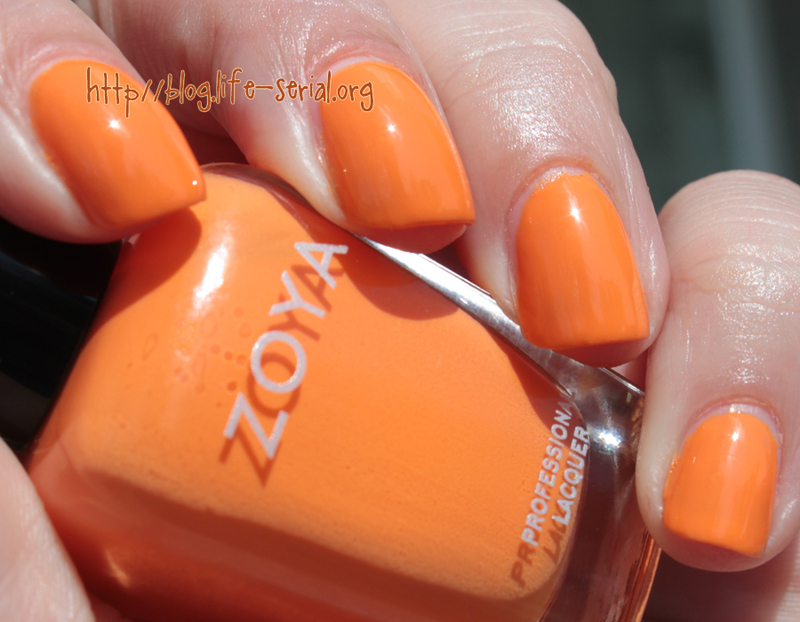 I achieved opacity in two coats. 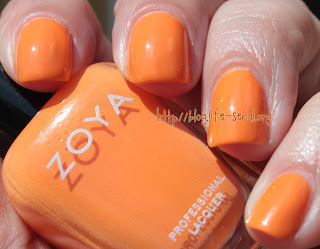 On Zoya.com, Arizona is described as: "Softened bright citrus orange with a muted cream finish. 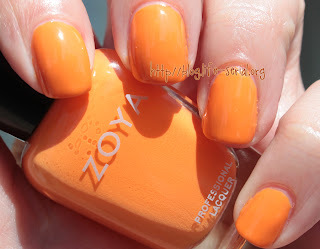 This orange is bright but also very soft, giving it a fun, orange sherbet-like look on the nails." I wonder what she looks like compared to Jancyn. I'm going to have to try do that compare soon! Creamy right? 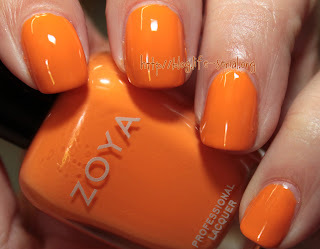 Reminds me of a dreamsicle. 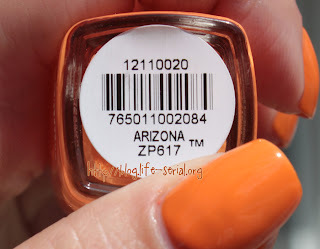 Hmm maybe I might try a watermarble with this a white. I'm just getting all kinds of ideas this morning! Be on the lookout for a giveaway this week. I won't promote it very heavily because I want to thank the people who really take the time to read my posts.